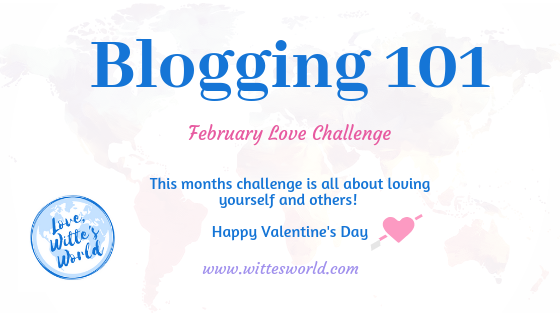 February has become known as the month of love and the February Blog Challenge has been designed to challenge not only your writing/blogging skills, it was created to challenge your inner soul. This blog challenge is all about loving yourself, your family, friends, your life, and your choices. Remember, if you get writer’s block on any prompt, create your own or change itt o fit your mood. What if the February Love Challenge doesn’t fit your niche? As always, this blog challenge may not totally fit your niche, but if you are creative you can always find a way to fit your niche into the challenge. If not, you can always create a new category on your blog. If you create a Blog Challenge category your viewers can follow along and learn more about you and your blogging journey. Then, if you decide that the challenges are not part of your blog anymore you can simply hide the category. All your posts are still there, but not open to the public anymore. When you are writing your February love Challenge posts think of your niche and fit the posts to meet your niche as best as possible. Stay with your branding as much as you possibly can. Remember, your posts should be about 500 to 1000 words, use titles, tags, and headings to that fit your niche and enhance SEO. Add quality images to all your posts and remember to add alt text. If you have trouble thinking of images, you can use Pexels.com and Canva.com, to search for fun images that will fit almost any post. If an affiliate link fits in the post, add it! For instance – When creating your February Love Challenge love playlist, add a link to Amazon for your viewers to click and buy the album. February – 1 – Use SMART Goals and create at least 5 blog goals for February. Then, write a post and share your February SMART Goals. February 2 – Create a printable for Valentine’s Day. February 3 – Create a recipe for the perfect Valentine’s main course. 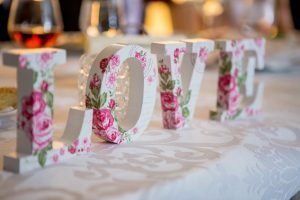 February 4 – Write a post about how you will know you have met your true love or how you knew you found the perfect partner? 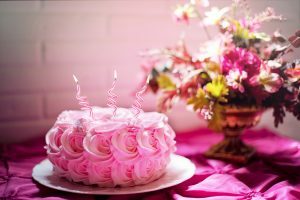 February 5 – Revive a post from 2018 – Find a post you do NOT love and make it one you love! Can you add new links? Images? Tags? Change the wording? When you finally love the post, update it and then share on social media! February 6 – Write a review of your favorite romance movie. February 7 – Share your favorite Heart Healthy recipe. February 8 – This one is a hard one to write, we are always so critical of ourselves. Write a list of all the things you love about yourself, dig deep into your soul. February 9 – Write an open letter to your spouse/boyfriend/future love and let them know what you love about them. 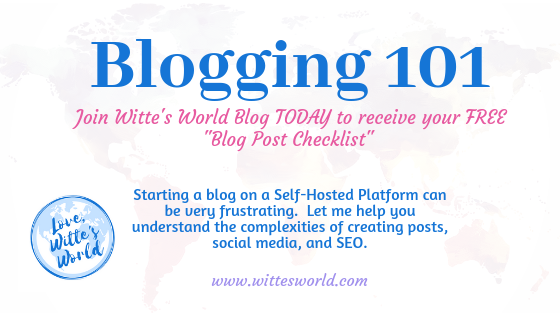 February 10 – Write a post and include links to five of your favorite bloggers and explain to each one why you love to follow them or their blog. February 11 – Create a playlist of your favorite love songs. February 12 – Share your idea of a perfect Valentine’s Day and include a love poem you wrote or a poem you love. February 13 – Write a letter explaining what your Valentine’s Wish is for the world. Halfway there!! How are you doing on the February Love Challenge? February 14 – Take the day off for self-love! Do something to show yourself some love, take a bubble bath, get a manicure/pedicure, make your favorite dinner, take a nap…show yourself some love! February 15 – Describe your different types of love you have experienced. 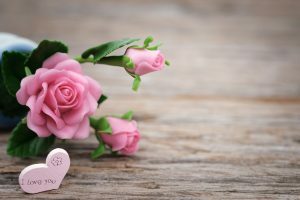 February 16 – Think of the 5 most recent moments you truly felt love, write them down and explain why they made you feel loved. February 17 – Write a letter to yourself and explain to yourself what is really working well in your life right now and what needs more attention. February 18 – Create a survey and ask your readers what they love about your blog. February 19 – Create a Vlog on about anything and post it to Youtube and your website. February 20 – Create an image only post that shows all the things you love. February 21 – Create a Vlog about anything that you want…be creative! 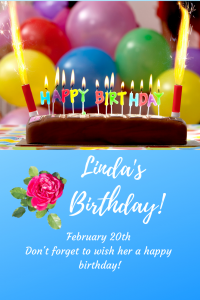 February 22 – Do you have someone you miss in your life? Either they have passed or you haven’t seen them because of life reasons? Let them know how much you love and miss them by telling your favorite story about them. February 23 – What is the best compliments you have ever received? Write a post about them. February 24 – Create a list of spring cleaning ideas that will help you love your home more. February 25 – Everyone has one place they LOVE to go…where is your place? February 26 – Create an exercise program you could love and follow all year long. 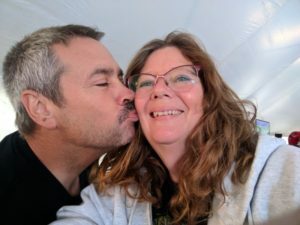 February 27 – Write a post for a beginning blogger one thing you love and couldn’t live without on your blogging journey (could be a plugin, website, social media, anything). February 28 – Write a post about the season you love. Why is it your favorite? You can start writing today and scheduling your posts! Hope you enjoy the February Love Challenge. Oh yeah, my birthday is February 20th! I love my birthday!!!! Visit Blogging 101 Articles and learn how to blog the smarter way!